I like a good grind, but these would be a massive ball-ache. Lol my brother has 5 service stars on it, he'll probably get that done in 1 round haha. But yeah I could see it being difficult for some. The AT Mine one I think is good. Perhaps it'll spark some interest in AT Mines for some people as those things are painfully underused for how effective they are. Though it's worth noting that bad assault players will never use AT Mines as you can't spam them on infantry. was hoping more for a telescopic version. the mines were way more effective early on, before tanks and players knew where to look for them. i rarely get kills with them now unless i put them in odd areas that are unlikely to see vehicle traffic. Means it has a bipod instead of a grip. A MH sniper and a bipod Hellreigel? There really is a Santa Claus. jesus, i'm playing in the wrong matches. 300 kills with each weapon... That's a lot more than 50 we've seen so far. Imagine 150 headshot kills with the kolibri. They should alter the requirements for when they implement them. I'm fine with 50-100 kills for the requirement but 300 is going to be a pain especially for weapons people don't typically use. I think that would be a terrible idea personally. I'd hate the idea of say, get 150 Kills with the Gewehr 98 Sniper to get the Selbstlader 1906 Sniper, just as an example. Personally, aside from the Rifle Grenades part for Medic, I'm fine with the assignments. I think the idea of them is more towards us fools like myself who already use the guns significantly. 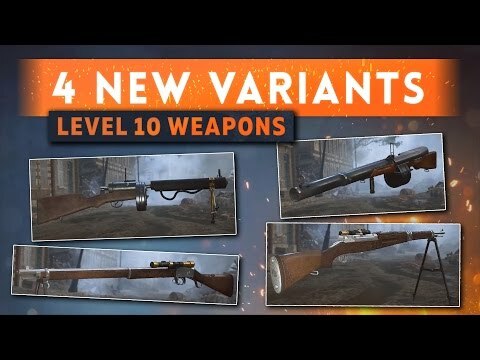 Also, when these variants do get released, I'd rather enjoy the first day or two where everyone isn't running around with the Hellriegel Defensive. The new weapons look like they're going to be pretty disappointing. 1906 Sniper - the Sniper variant has more spread increase when compared to its Optical Factory counterpart, which means that if you're not on the bipod (which is most of the time), you have a lower effective RoF than the Factory. You essentially trade a scope for substantially worse statistical performance. Huot Optical - the Optical variant reduces horizontal recoil and min spread slightly. Given that the Huot has basically no horizontal recoil and min spread anyway, this is a fairly redundant change. In addition, it takes one more bullet to reset to min spread, which is actually quite significant. Again, you essentially trade a scope for worse statistical performance. Hellriegel Defensive - 120 rounds is unnecessary. And you have worse accuracy than the Storm Factory. Yeah, no. Martini Sniper - scope glint. Plus the velocity too slow and bullet drop too high for any real long-range usage. That vertical recoil is also ridiculous, which means that you'll probably never see your bullet tracer. 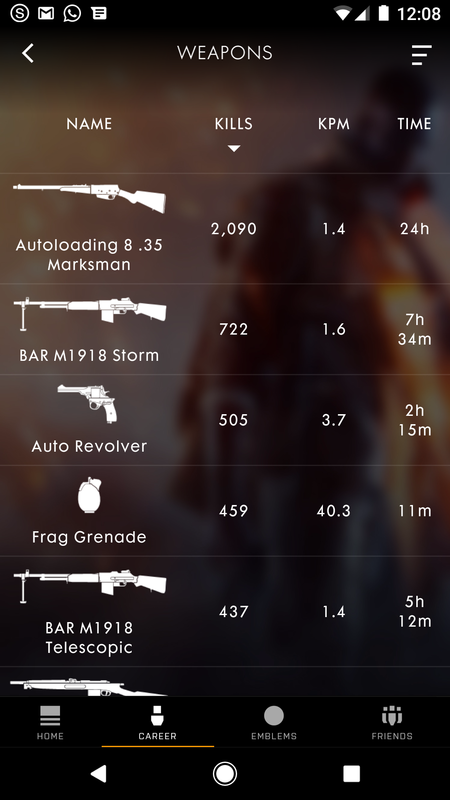 Have you used the Autoloading 8 .35 marksman? Model 8 Marksman and Factory both reset spread at the same rate. 1906 Factory​ and Sniper don't reset spread at the same rate. In fact the Sniper will take twice as long to reset spread than the Factory (unless, of course, you're using the bipod). As I said before, you're essentially trading a scope for worse statistical performance. If it was a 1906 Marksman I'd be all over it. But it's not. Bipod reduces everything but min spread. oddly enough, this is already a variant in the campaign. I wouldn't like it. I don't mind playing all 4 infantry classes but some of those DLC assignments were stretching it a little and I haven't done all the scout stuff yet. If I have to do pilot assignments to unlock weapons for instance I would be unhappy. They should finally put the M1903 infantry in. I don't need more Noobriegel.